Wether it be our Sister, Wife, Girlfriend, Mother, Best friend or Grandma we will all be looking for gifts for the ladies in our life about now. Sometimes it really is impossible to think of things to get. Especially when she is the women who owns everything. So here are 12 ideas that you may want to think about treating your loved one too. Or you may be a women reading this guide and spot something you like yourself. It is never to late to pop something onto your Christmas list! 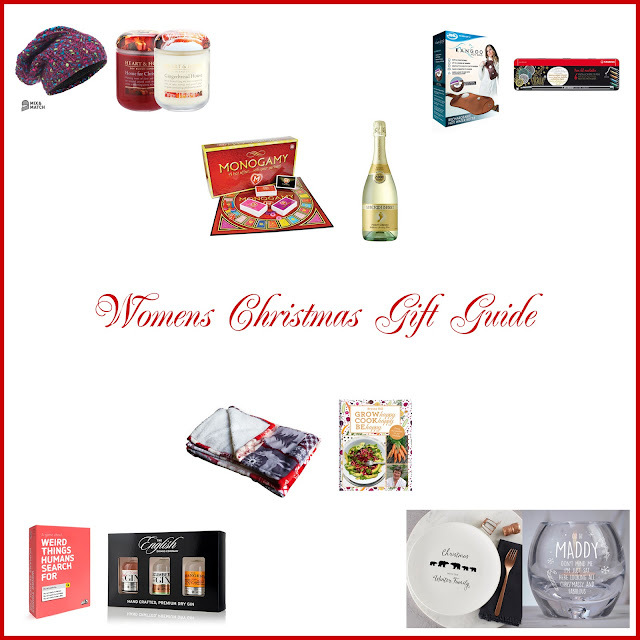 Hope you enjoy looking through these products and hope you find the perfect gift for the lady in your life. A fun game to keep you and your guests giggling during your Christmas celebrations. With all the popular but weird searches on the internet picked out your left with a great party game! Your given the first half of a popular internet search, then you choose the rest. The higher your guess ranks on the list, the more points you’ll win for your team. This beautiful Christmas themed blanket has a luxurious feel that will leave you unable to stop stroking it. Perfect for snuggling under while watching a Christmas film and something you can keep and get out for Christmases to come. Not only is this blanket for warmth and comfort it makes a great xmas decoration for you room when placed over the sofa. 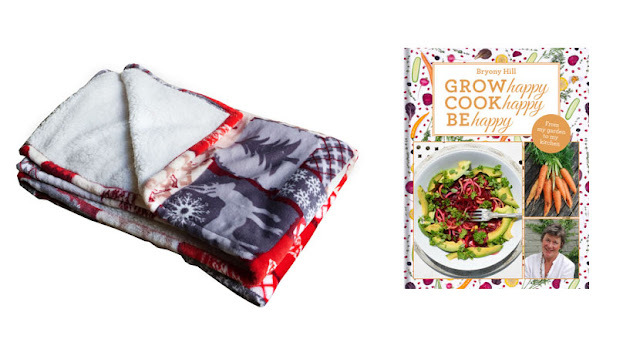 It makes the perfect gift for that member of the family that is always cold. Grow Happy, Cook Happy, Be Happy is packed with practical gardening advice, cookery tips and mouth-wateringly easy-to-make recipes. Is there anything quite so satisfying as growing your own produce in your own garden and then using it to make a delicious home-cooked meal for family and friends around the Christmas period. This makes the perfect gift for all your green fingered family and friends. Monogamy Game for Couples A Hot Affair… With Your Partner! Light the festive candles and close the curtains and prepare for the steamiest Christmas ever. 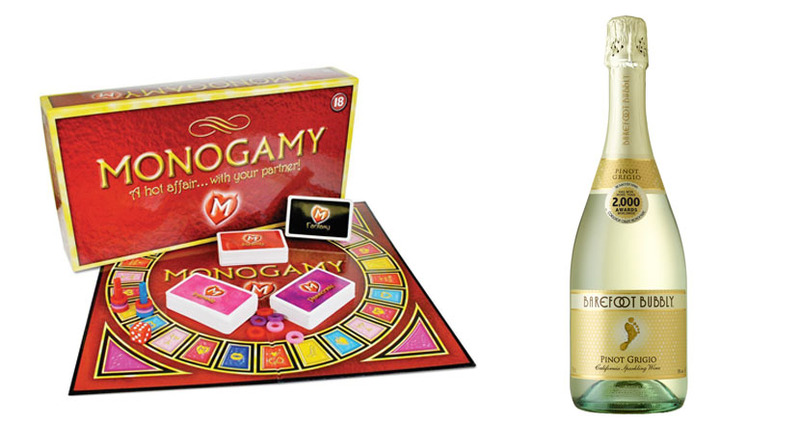 Monogamy is the naughty board game for couples that will revolutionise your relationship and take it to new fun heights. With three progressively racier levels and over 390 ideas and actions to perform, this is a good excuse to stay in side on the cold winter nights. Who doesn't enjoy the gift of bubbly at Christmas. This affordable Sparkling Pinot Grigio wine is the perfect gift to put a little fizz into someone Christmas. 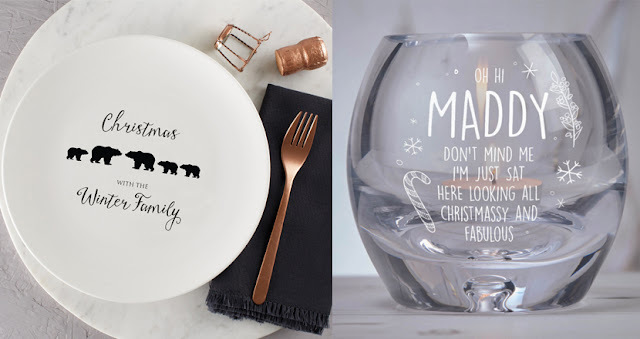 It is perfect for celebrations, toasts and even to go along side the Christmas dinner. With flavours of zesty citrus and blossom aromas its sure to go down a treat. This is a prefect gift for Christmas. A truly personalised present ideal for serving up Christmas food for the family on. This beautiful white ceramic plate features cute animals and your choice of name. All printed on the front making it a keep sake for life. This beautiful handmade Bubble Base Candle Holder features a 'Christmassy and Fabulous' design, a perfect gift for Christmas that can also be used as a decoration for years to come. This is a truly meaningful gift giving that personalised touch of having your loved ones name added to it. When your wrapping warm this year why don’t you opt for a stylish slouch hat or it makes the perfect gift for keeping your loved ones warm this winter. With an eye popping colourful wool outer and a warm cosy fleece inner lining you wont want to take this hat off!! These stylish candles are embodied with warming notes of clove and cinnamon or a sweet spicy nutmeg and ground ginger. You can fill your home with memorable warm Christmas Holliday scents that will be lovely and inviting for guests. They make the perfect gift for some one who just loves to fill their homes with Candles at Christmas time. This rechargeable hot water bottle that takes all the benefits of a traditional hot water bottle to another level. With comfort and convenience in mind. This Hot Bag never needs re-filling. With a simple charge its ready to keep you warm all through out the winter period. All your aches and pains can be soothed so you can enjoy Christmas with your family and friends. The STABILO Pen 68 metallic comes in five metal shades that will add that special shimmer to all of your creations – whether its christmas cards, thank you cards, or getting creative over the Christmas period. These make the perfect gift for the artistic people in your life. These pens don’t only write on paper and can be used on further smooth surfaces such as metal and film and is smudge-proof after drying. Do you think you will be buying any of the above gifts for someone you know? 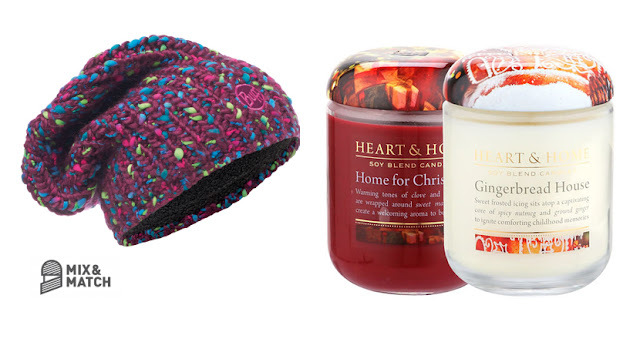 Would you yourself like any of the gifts shown in this gift guide? 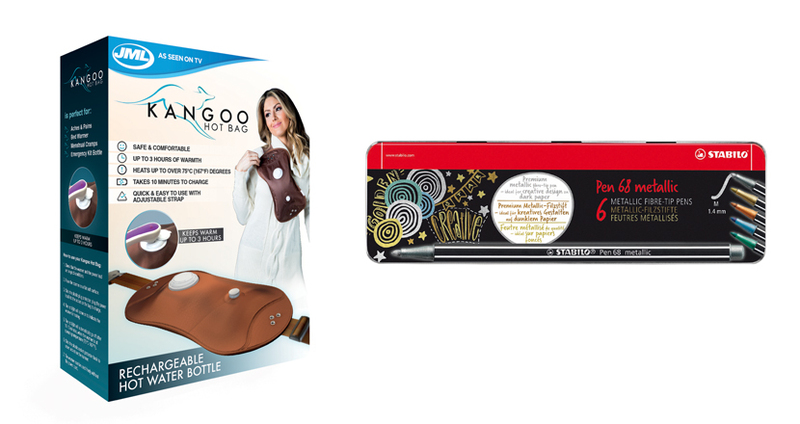 I would love the kangoo hot bag as a gift. 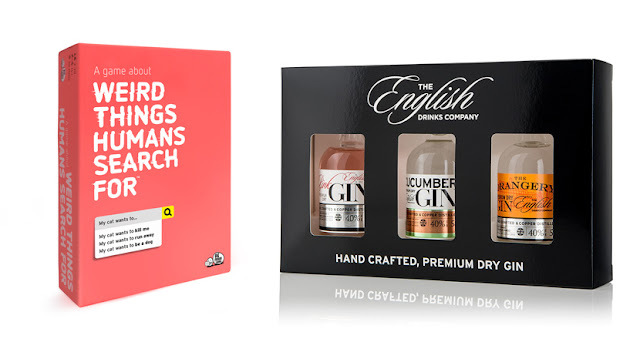 I know several friends who would appreciate the gin gift set! No. No. Tend to go for very practical / useful gifts, sometimes sentimental gifts. Pyjamas, slippers, theatre tokens / tickets, winter jumper, etc :- Likely to be both gifts I may give this year. As well as gifts which would be useful and appreciated as gifts for myself this year. A weekend trip would be a wonderful treat. Have bought some throws. Not Christmas patterns, as Christmas is one day. Also we have Christmas in Winter (it's cold). I prefer other themes. Variety of colours, etc. So much to do. So little time to so. Christmas is a coming. Ideas always welcome. Women tend to have individual preferences in regards to perfume /s etc. Therefore gift tokens can be appropriate and acceptable. Thank you for the list. I have a couple of birthdays in January so will be looking at both the throw and the Kangoo hot bag.